Happy birthday to the United States of America! Happy Fourth of July! Happy birthday to the United States of America! It’s been 238 years since the founding fathers declared independence from Great Britain and formed a country of 13 colonies, an event which eventually led to the formation of the United States. 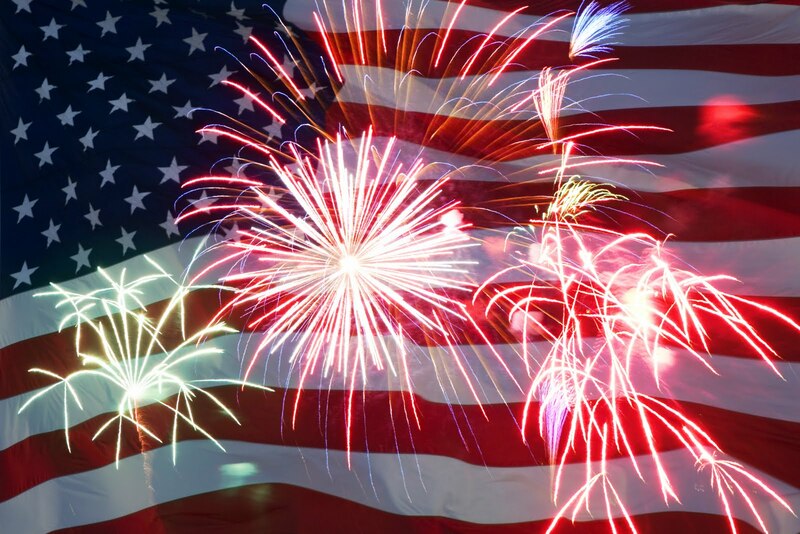 Each year on July 4th, also known as Independence Day, Americans celebrate this historic event which is a National Day of the United States. How it all began?! Conflict between the colonies and England was already a year old when the colonies convened a Continental Congress in Philadelphia in the summer of 1776. In a June 7 session in the Pennsylvania State House (later Independence Hall), Richard Henry Lee of Virginia presented a resolution with the famous words: “Resolved: That these United Colonies are, and of right ought to be, free and independent States, that they are absolved from all allegiance to the British Crown, and that all political connection between them and the State of Great Britain is, and ought to be, totally dissolved.” Lee’s words were the impetus for the drafting of a formal Declaration of Independence, although the resolution was not followed up on immediately. On June 11, consideration of the resolution was postponed by a vote of seven colonies to five, with New York abstaining. However, a Committee of Five was appointed to draft a statement presenting to the world the colonies’ case for independence. The task of drafting the actual document fell on Jefferson. On July 1, 1776, the Continental Congress reconvened, and on the following day, the Lee Resolution for independence was adopted by 12 of the 13 colonies, New York not voting. Discussions of Jefferson’s Declaration of Independence resulted in some minor changes, but the spirit of the document was unchanged. The process of revision continued through all of July 3 and into the late afternoon of July 4, when the Declaration was officially adopted. Of the 13 colonies, nine voted in favor of the Declaration, two — Pennsylvania and South Carolina — voted No, Delaware was undecided and New York abstained. John Hancock, President of the Continental Congress, signed the Declaration of Independence. Freelance platform in Macedonia soon – WIN WIN!!! We are proud to announce that SWTA members and participants of the first Start Up Academy are this year’s Alumni Engagement Innovation Fund (AEIF) winners. Among 1000 proposals, were selected 60 winning teams from over 50 different countries. 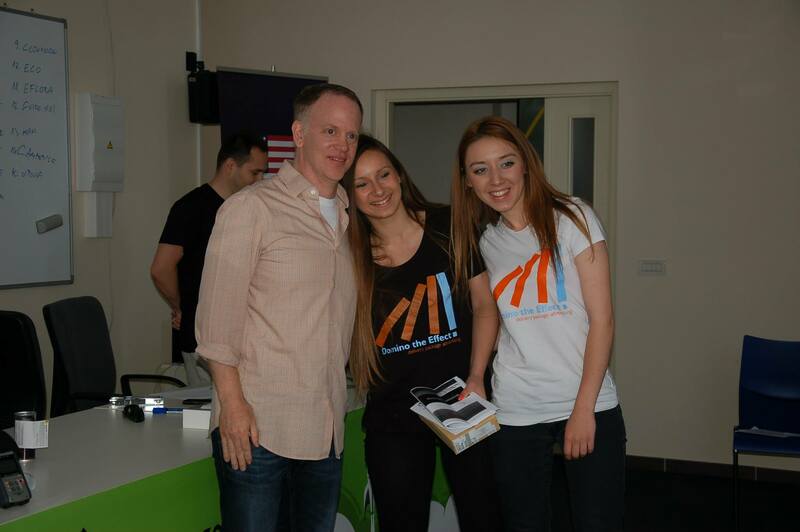 WIN WIN as a team form Macedonia was among the best project which won this competition. The project aims to create a matchmaking platform for freelancers and companies that are in search of freelance work. Freelancers will be objectively ranked according to their skills and competencies. The platform will create positive impact on the economy due to fair resource allocation and elimination of political or social context of employment. Platform’s preparations will start in October 2014, and the platform will be launched in February 2015. Congratulations to the winners and to the Macedonian community!!! Don’t be afraid to take risk! 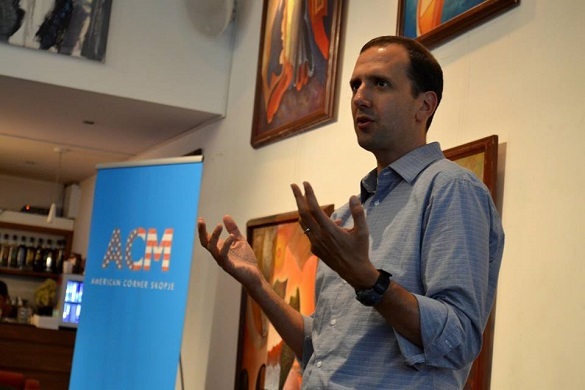 On Wednesday, 18th of June, in the Library in Old Bazaar, almost 40 young enthusiasts had opportunity to participate an hour and a half session with Michael E.Goldberg, visiting assistant professor in Case Western Reserve University in Ohio and a entrepreneur with international experience. Ha talked about entrepreneurship in transitioning economies and the Massive Open Online Courses (MOOC) he has designed on the same topic. He shared his experience with all participants and encourage the young entrepreneurs with great ideas to not be afraid to take risk and to start their own company. He said: “Your IT company don’t have to be be in Silicon Valley to be successful. You can succeed in any part of the world if you have clear vision of your company and if you try to be different than others.” All those who did not attend this session, will have opportunity to take part of it in October. 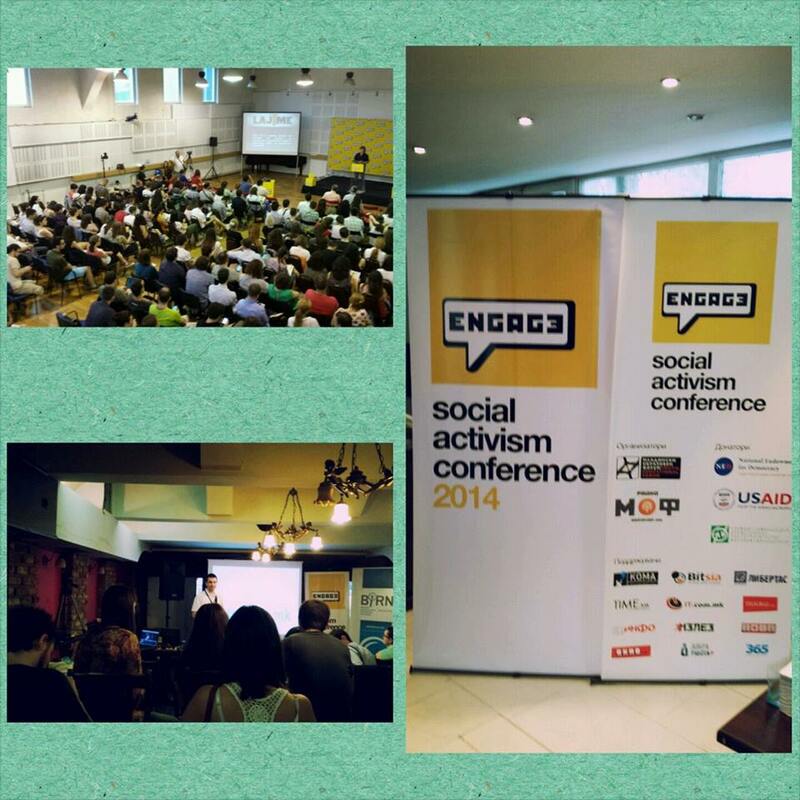 On 14th of June, letsfundit.mk was part of ENGAGE 2014 – the third conference for social activism, organized by Youth Educational Forum. The conference was held in Macedonian Opera and Ballet. А lot of artists, journalists, designers of online initiatives, bloggers and IT experts shared their knowledge and experiences on issues related to civic engagement, activism via social media, art, freedom of expression. Letsfundit.mk in a half an hour workshop shared the possibilities and benefits that this platform provides for the whole community. Until now through letsfundit.mk the people who believed in the projects, gave to the Macedonian community a new start up business – Domino the Effect, an alternative theater performance – Drama in a bus, a book – The man after the bridge which is at its end, and a new gaming TV show – GG which is going to start on 1st of September. The participants were curious for this unconventional way of financing and believe that it is a great chance for all those who need funds. Session with Michael E. Goldberg…everyone is invited!!! We are happy to say that SWTA Macedonia and American Corner Skopje in collaboration with the US Embassy in Skopje, organize a session with Michael E. Goldberg, visiting assistant professor in Case Western Reserve University in Ohio. 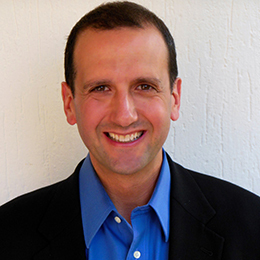 Michael Goldberg is an experienced venture capitalist and international business leader whose teaching at Weatherhead is focused on the fields of entrepreneurship and early stage finance. He is a co-founder of the Bridge Investment Fund, which is a venture capital fund focused on investing in Israeli medical device companies that have strong synergies with Cleveland’s thriving healthcare sector. He is also a senior adviser to Kaiwu Capital, a China-based venture capital fund. Mr. Goldberg is going to share his experience with all the participants. The session will happen on 18th of June (Wednesday). It starts at 16:45h, and is going to be held in American Corner in Skopje. Register on this link and don’t miss this opportunity!!! 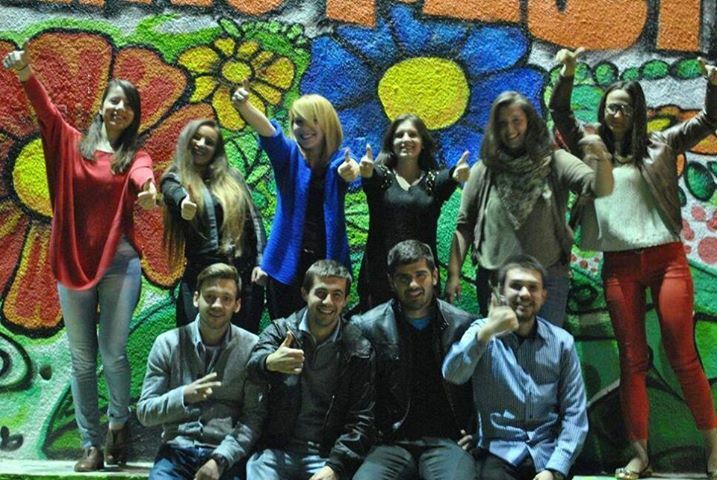 Domino the Effect, the first funded project on letsfudit.mk, won the 3th place on the Start Up Camp in Rijeka. We like to congratulate to the creator of the project,Maja Ilievska, who was one of the participants on the First Start Up Academy and who developed the idea during the Academy. GG is going to happen!!! The crowd funding campaign for GG (Good Game) finished today. Unfortunately this project did not raised the required amount of 180.000 MKD, but this project is successful because showed that the Macedonian community has capacity to invest higher amounts than 100 MKD in the projects on letsfundit.mk. In this project were invested 61.750 MKD by 85 supporters. The average invested amount by the supporters is around 730 MKD. Great news for all those who believed in this project is the fact that GG is going to be realized. Officially the date of the first show is the 1st of September. The creators of the project are almost ready. Only few things are missing and can be bought with the raised funds. With that, the preparations for the show will be completed. It is up to the supporters to decide whether they want to withdraw the invested money in the project or to not and to be part of the show in which they believe. While the project “The man after the bridge” is exceeding the required amount, another project is financed on letsfundit.mk. The project “Drama in a bus”, a theater show which is going to be held in a city bus was financed in the last day of its champagne. This is another proof for the importance of the last day of the campaign. But, there is another creative project on the platform in the field “Movie&Theatre” – SKORA. The project is a film about the journey of a young Macedonian woman, Sash, in the search of self-discovery. It is going to be set in Skopje, the capital, where she spends her days at the ancient aqueducts with her friend, Mish, waiting for answers and in the meantime discuss etymology, geology, and their interpersonal conflicts. If you like to find out more and to support this project visit our site letsfundit.mk. The II Kick Off Picnic! It happened…. the second Kick Off Picnic was held on Sunday in Skopje City Park. Most of the visitors said that they had an unusual beautiful sunny day. More then 700 people were part of this event, and 95 visitors invested 24.400 MKD. In return they got an award by the projects creators and a traditional picnic meal. But the most important thing that they achieved is that they became one of the supporters of the entrepreneurship and the creative minds in Macedonia. The picnic was a great event for everyone….in YANA Corner everyone had opportunity to paint flutes that will be given to the kids from three orphanages in Macedonia. In Lets Fund It Corner everyone had opportunity to support a project and with it to gоt a traditional picnic meal coupon, which could be used in the Food Corner. In SWTA Corner there was a place where the SWT Students could register and to become part of the SWT Alumni organization. In the Sport Corner the visitors could play volleyball, small football and Frisbee. With another words, there was a place for everyone.